The prevalent image of the late Carolingian age is one of decline and fall. 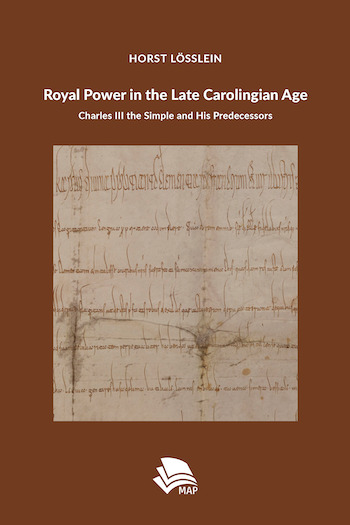 Charles III the Simple’s (893/898−923) rule, which has hardly received any scholarly attention since the late 19th century, is perceived to have been the classic example of this development. Enthroned by rebels as well as cast down by a rebellion he is said to have been a weak ruler, powerless in the face of the ambitions of the nobles of the West Frankish realm. Yet, what do »weak« and »powerless« mean? In modern scholarship, early medieval rule is understood not as a question of command and obedience but as the result of cooperation between rulers and nobles. Thus, royal actions, such as the defence of the realm against the Northmen, interactions with other rulers or in regard to conflicts with or between the nobles, are reflections of the relations between the ruler and the circle of nobles around him. A ruler’s power therefore depended on his ability to integrate the most powerful nobles into his rule, to mediate between their interests and to create consensus over the course of action. Based on this view, a new assessment of Charles the Simple’s rule, the circle of nobles around him, the actions taken by him and thus his royal power is provided in this study, with the rules of his predecessors since the death of Charles the Bald in 877 serving as a basis for comparison. Horst Lößlein prepared his PhD in a cotutelle at the Université de Limoges and the Ludwig-Maximilians-Universität München. His research interests include early medieval kingship, conflicts and norms, diplomatics, ideas and the meaning of legitimacy as well as literacy in the early and high middle ages. He is currently working as a research assistant in the long-term-project Formulae – Litterae – Chartae of the Akademie der Wissenschaften in Hamburg in cooperation with the Universität Hamburg.